The international race from Agen was postponed by two days and eventually took off on Sunday 26th of June at 6:50 am. 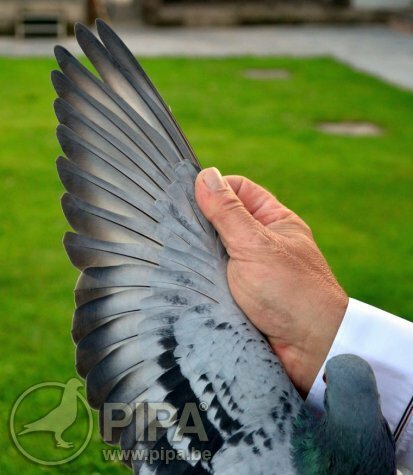 There was heavy rain and low and thick clouds on Friday, which prevented the organizers from releasing the pigeons. The situation improved on Sunday, with fairly good weather and a north-easterly wind, shifting to a westerly wind over the course of the day. 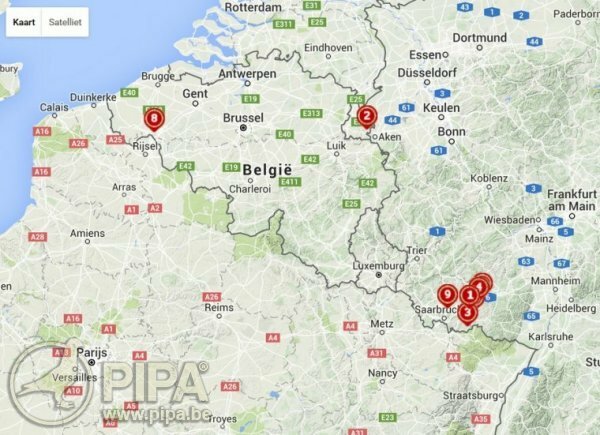 Rain started to fall in Belgium and the north of France already in the morning but it stayed relatively dry in the afternoon, with the exception of a few showers in the late afternoon. 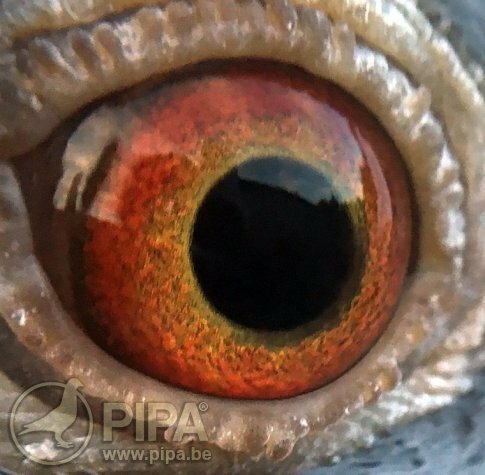 With the wind blowing from west to northwest it was not really a surprise that the earliest arrivals were spotted in Germany and in the east of Dutch Limburg. 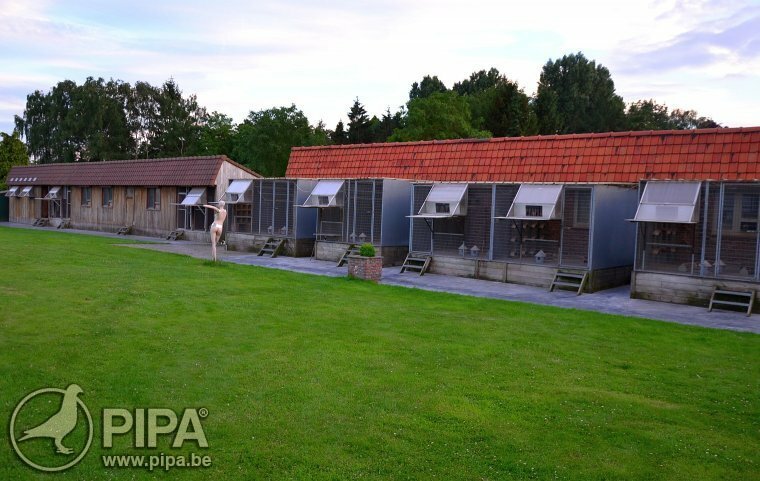 Remarkably enough, the 1st and 2nd national prize from Agen yearlings was actually won by a loft from the westernmost part of Belgium: the loft of Gino Clicque. It makes the achievement of Gino’s two prize winners all the more impressive. What a performance this was! 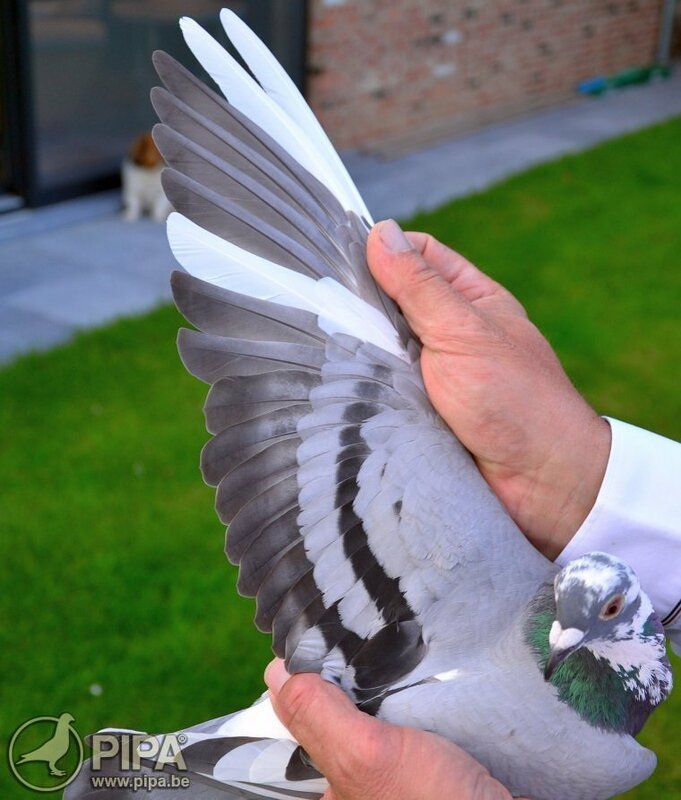 It makes us wonder if the pigeons of Gino Clicque are simply stronger than most other pigeon breeds out there. We were particularly impressed with this pigeon family when we saw the map with the national top 10s from Montélimar, where Gino wins a 1st Prov., a 1st Zone A, and an 8th Nat. yearlings, despite a disadvantageous wind, weather and flying route (see map below the article). 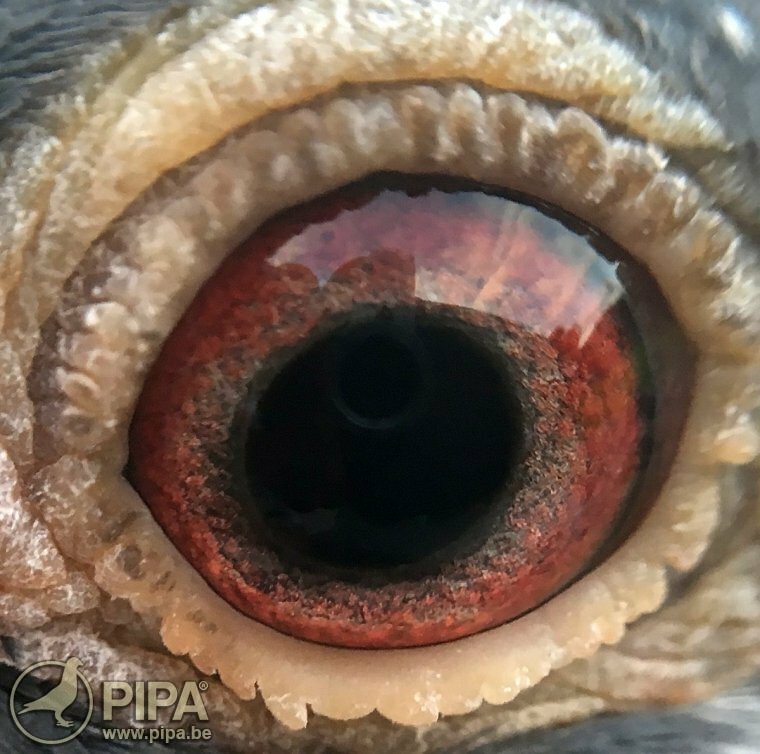 A pigeon breed in top form can do great things. The racing hens that won a 1st and 2nd Nat. Agen also won a national top prize from Châteauroux two weeks ago (10th of June), which was their final training flight for Agen. Gino clocked his two prize winners within 10 minutes, at 17:25’44” and 17:35’28” respectively. 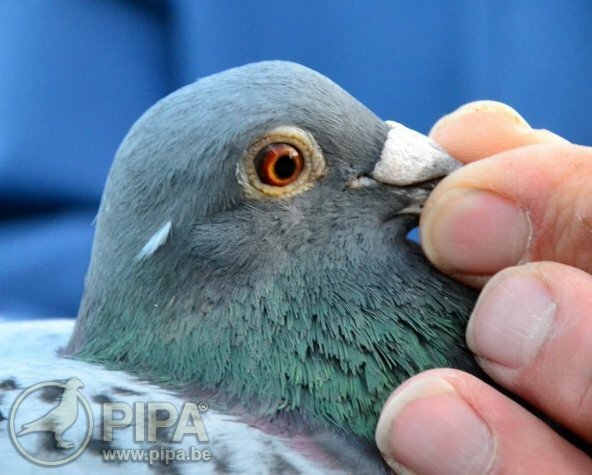 They were also the two fastest two pigeons in Belgium with a velocity of 1197.7145 and 1179.6535 m/min. 296th Prov. Tours      6,083 p.
A 100% Gaby Vandenabeele. He is a son of Ebbo Bliksem BE03-3240765 (from the iconic breeder Bliksem-Vandenabeele x Claudia, the dam of Tyson - 1st Prov. Cahors) paired to Tessa BE10-30470084 (a daughter of Neptunus 708/99 x Sister Tsunami 881/04, a daughter of Bliksem). Winner of a 70th Prov. Tours 3,831 p. and a nest sister of 5th Nat. Libourne 5,024 pigeons. She is a daughter of Piraat 754 BE12-3162754 (from stock breeder Piraat, 1st Prov. and 3rd Nat. Ace Pigeon KBDB 2008 x Nest sister Super Prins 901/08) x Daughter Bijter 960 BE08-3172960 (from the renowned line of Robert). Click here for the full pedigree of Gabriëlla. 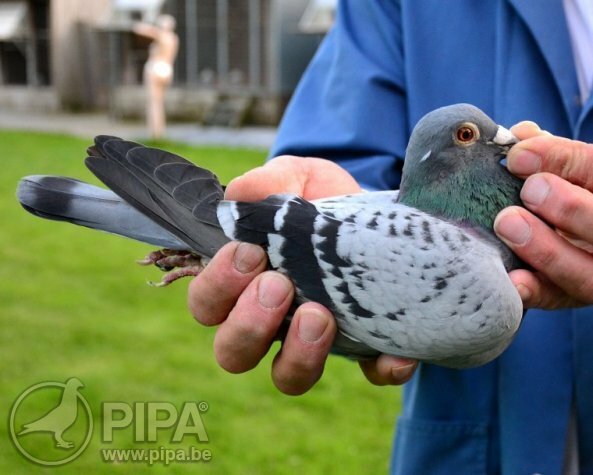 A top class racing bird and winner of a 28th Zone Limoges 6,810 p., a 68th Nat. Libourne 6,658 p., a 72nd Nat. Cahors 8,348 p., a 118th Nat. Limoges 14,211 p. and a 194th Nat. Brive 11,130 p. He is a nest brother of the 19th Nat. La Souterraine 17,814 p. and a son of Lucien BE06-3100789 (a son of Supercrack 533/97, which won the Flanders National Golden Award Cup in 2000 and 2001) x Granddaughter Figo BE08-3172998. A sister of the sire of a 1st Zone Châteauroux 5,997 p. and a full sister of Yvano, winner of a 2nd Zone Limoges 6,810 YL and a 33rd Nat. Limoges 14,211 YL. She is a daughter of Yvan BE99-3238784 (sire of 5th Nat. 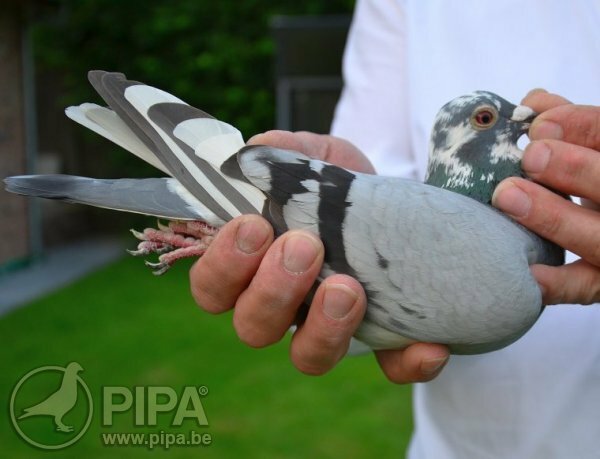 Ace Pigeon Long Distance KBDB ’06, from the line of long distance pigeon Figo of Noël Lippens) x Daughter of 1st Nat. Argenton BE05-5201279 (from Alina, 1st Nat. Argenton 20,358 p. and the fastest of 27,440 p.). Click here for the full pedigree of Lucia. A daughter of Aelbrecht 981 BE09-4114981. He is an inbred pairing of grandson x granddaughter of Marcel Aelbrecht's super class pair Marseille x Fijn Blauw. 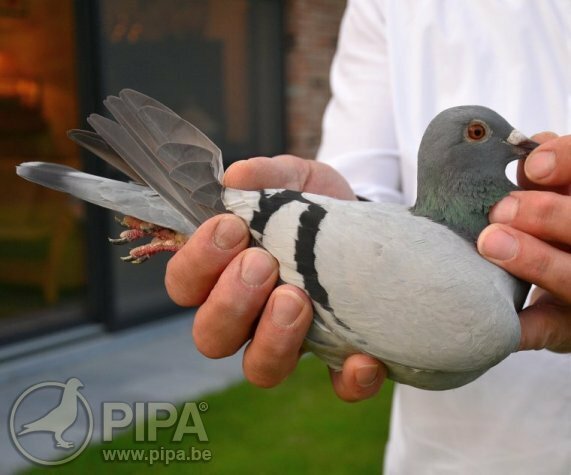 Her dam is Belgium Princess BE11-3008432, which is bred from the best two pigeons of Belgium in 2010 (from Super Prince BE08-3172902 x Miss Belgium BE10-2007035). Click here for the full pedigree of Hazard. Gino had already won a 1st Nat. Montluçon in 2014 and a 1st Nat. Limoges YL in 2015, and he has now won a national first prize for the third consecutive season, claiming a double national win from Agen. 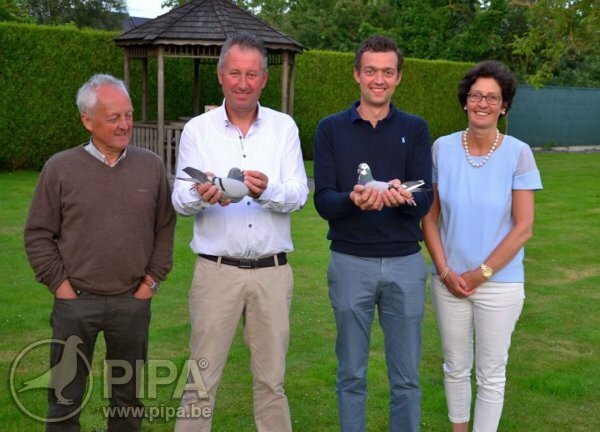 We wonder what the pigeons of Gino Clicque are capable of this season; we assume they are keen on winning a few more top results in the coming few weeks. Many congratulations to Gino, Jasper and the entire team. to finish in the national top 10 from Montélimar. He finished in 8th place.